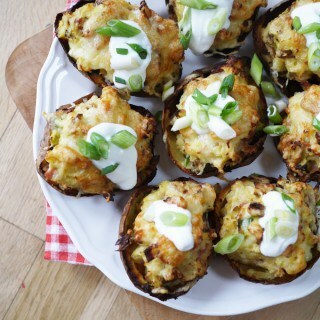 Oh hai Slimming World Potato Skins stuffed with cheesey bacon-y (is that a word? It should be) goodness. You are looking like the skinny dish I’ve been waiting for my whole life and not a syn in sight. I’ve worked out through trial and error that any diet where I can’t have the food I love (ALL OF THE CARBS) is not one I want any part of thank you very much. Slimming World and I have been having an on off relationship for months (I’ve been having an affair with a Lindt Easter bunny) but now, it’s time to commit. No more dilly dallying. I’m planning to use my new obsession, my Bullet Journal, to help keep me on track. 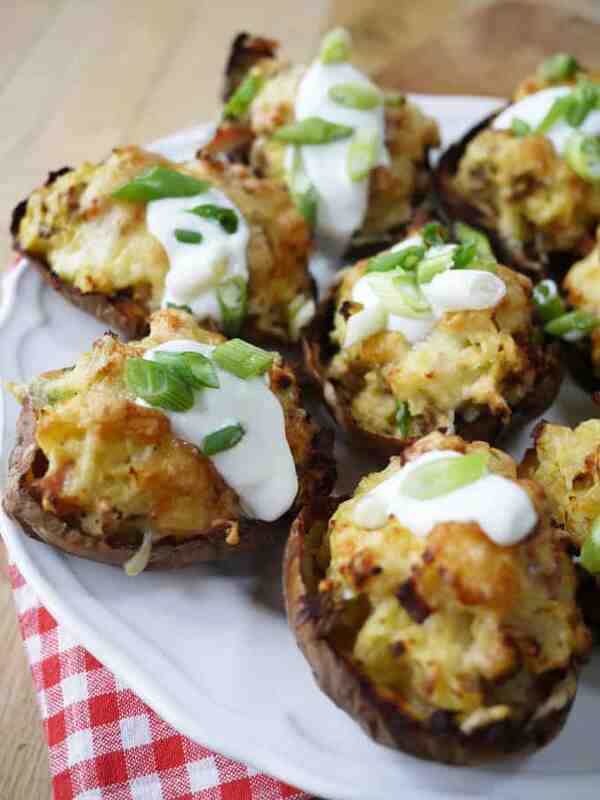 So here’s one of my favourites, you could serve these with a big salad or Slimming World coleslaw for your super free food if you’re following the plan. Or, you could up the amount of mushrooms/onions in the recipe to add in some more super free to the recipe itself. Preheat the oven to 220C and bake the potatoes for about an hour until they are cooked all the way through. Cut the potatoes in half and scoop out the middle into a bowl (set aside), make sure that you leave a little behind so that the 'shell' is still sturdy. 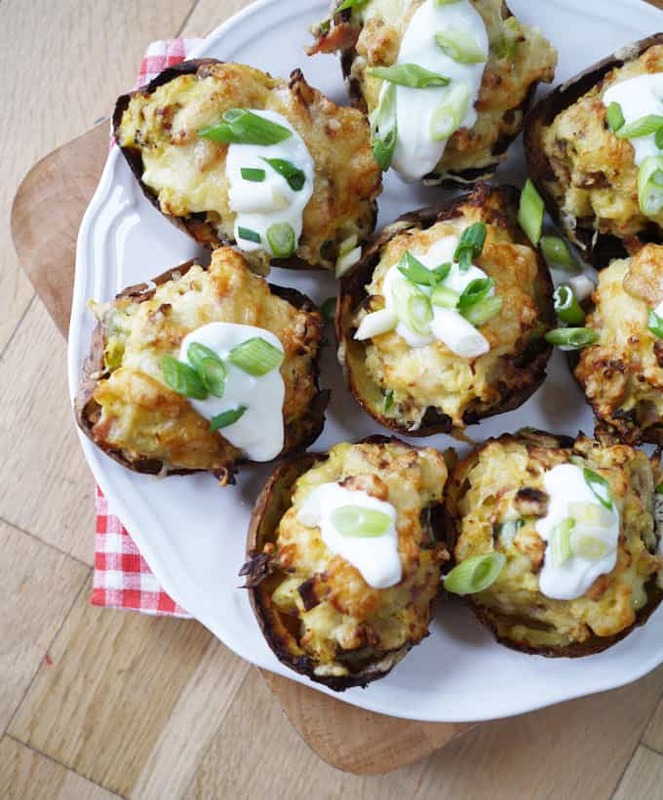 Put the empty potato shells onto a baking tray and spray with FryLight, pop them back into the oven for about 10 minutes. Meanwhille, fry the bacon and mushrooms until cooked and crispy. Add the bacon, mushrooms, eggs, plenty of salt and pepper and half of the cheese into the bowl containing the inside of the potatoes from earlier. Mash all together well. 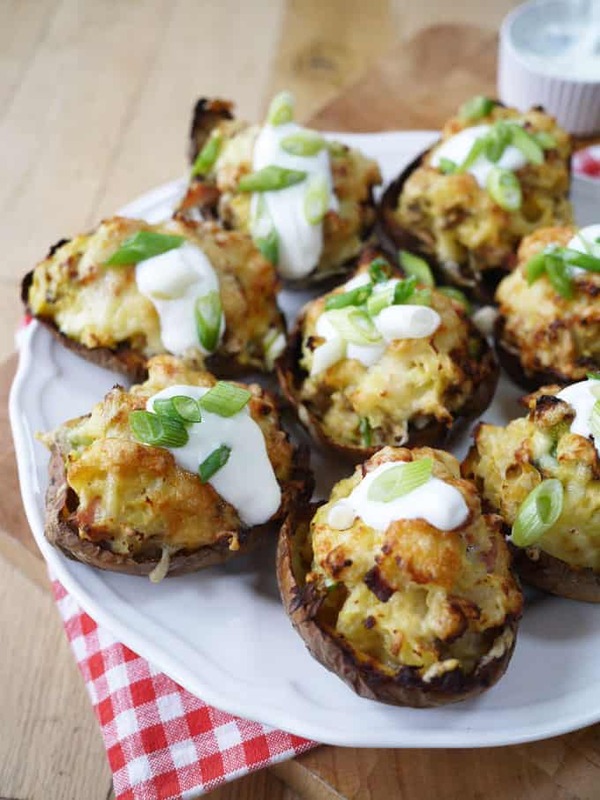 Remove the potato shells from the oven and share the mixture between them. Top with the remaining cheese. Pop back into the oven for about 10 minutes until the cheese is bubbling and crispy. Serve with fat free fromage frais and the extra chopped spring onions. Note: This is no syns and 1 HEX per 2 potato halves. Hi there. Quick question, isn’t the cheese a syn? Hi is this a serves four recipe?